Coroners have confirmed that a Giant Leatherback Turtle that washed up on Vatersay was killed by the kindness of local woman Maeve MacNeil who fed it over 400 scones. 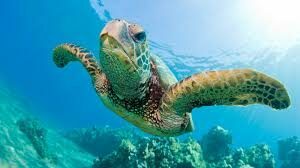 “Turtles love eating plastic bags so we knew it couldn’t be that” said Barra’s chief Turtle-oligist. “The next logical think to check on Vatersay was the presence of home baking”. Giant Leatherback Turtles are known to return to the place where they were born to breed and rarely consume scones in the wild. Other items found in the turtles stomach included several photos of Mrs. MacNeil’s grandchildren, the deeds to her croft and an order of service. “The last Minke whale that washed up managed over 1000 scones as well as a roast lamb before it died . Turns out that despite weighing over 400 kilos that turtle was a bit of a lightweight”. “We will all miss Flippers MacSconeface because he was a turtle who loved scones”.